Use the keywords that local shoppers use. If they’re looking for the “Best brunch deal in Trenton,” say that. Want to be known as the “#1 Office Supply Store on Route 1?” Name it and claim it. Optimize your website by using geographically-specific keywords in your page title, URL, and content of your web pages. It will make you easier to find in Google, Yahoo! and Bing. Remember that time you helped a client save money? Or when you delivered the perfect solution to a problem ahead of time. No one else does. Unless you tell them. So share your success stories! Blogs are a great way to talk about your local services and commitment to the area. Plus, customers love being in the spotlight. Bonus: The more content you have out there, the higher your SEO (Search Engine Optimization) ranking will be. Make friends with city-specific websites. When you share your knowledge with websites from your area, you establish yourself as an expert in your industry. You’ll be getting your name and company in front of local readers and develop relationships with influential bloggers who may be more likely to do feature stories about you in the future. 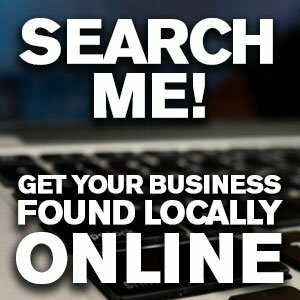 Here’s an example list of local Mercer County blogs: americantowns.com/nj/mercer-county/blogs to get you started. Spend some time researching online and bookmark your favorites. Sign up for accounts on review sites. Yelp: The gold standard for local restaurants and shopping locations, and now for real estate, financial services and medical service providers. Angie’s List: An aggregator that pulls in reviews of local businesses and contractors. The bottom line: Think like a local. If you were new in town and looking for your services, where would you start? What would you type into your search engine? “Princeton printers at a great price?” “Affordable accountants in Ewing?” Try to reverse engineer the way prospects think of your business, so they’ll not just search but research you and become customers.